Staycie Gabelus is the Programs and Grants Administration Assistant. In this role, she provides administrative support to the Programs and Grants Administration teams. 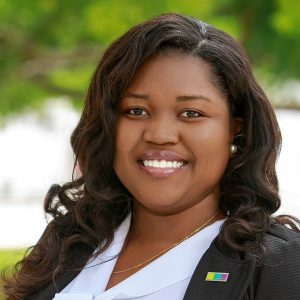 Born and raised in Haiti, Staycie graduated from Nova Southeastern University with her bachelor’s degree in criminal justice and her MBA. Prior to joining the Foundation, Staycie worked as a compliance coordinator for a local marketing company.